We are a unique name in the market to provide our honourable customers an excellent quality Anti Carbonation Coating Services. In order to keep pace with never ending demands of the customers, our company is instrumental in rendering Anti Carbonation Coating Service (Anti Carbonation Projective Coating Service). 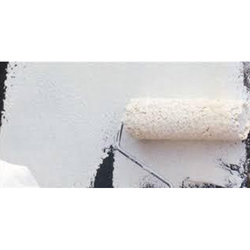 Due to our proficiency of this industry, our firm is betrothed in rendering Anti Carbonation Coating Service. These services are accomplished by industry capable professionals, who have affluent understanding of this realm. Furthermore, we render this service at nominal prices. 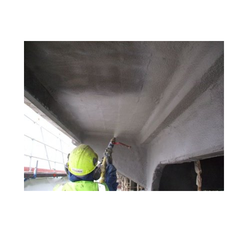 Anti Carbonation Coating / Epoxy Coating for Bridges Carbonation is a slow corroding process that damages the structural integrity of the steel reinforced concrete based structures. Anti Carbonation coatings prevent the concrete from turning acidic and in turn allowing the steel to corrode. Such coatings are popular in mega structures that have a high life expectancy. Our in-depth knowledge and industrial expertise together assists us in offering Anti Carbonation Coatings services of Construction Chemicals.